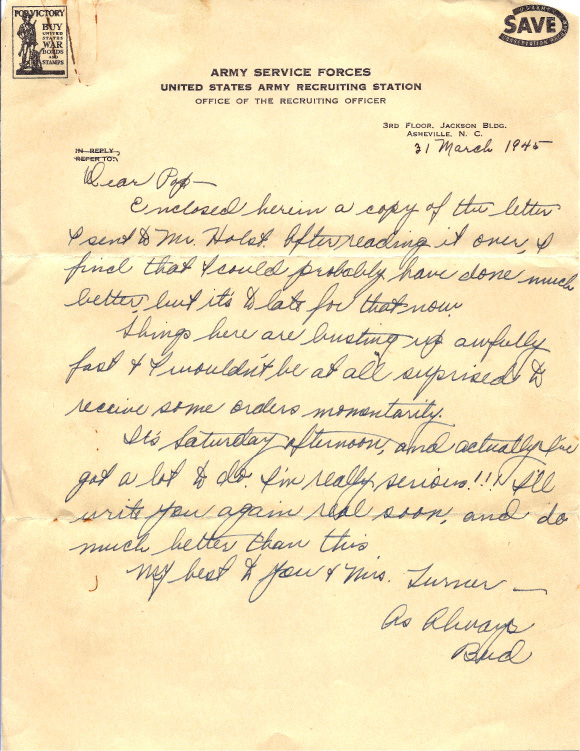 Enclosed herein a copy of the letter I sent to Mr. Holst. After reading it over, I find that I could probably have done much better but it’s to late for that now. Things here are busting up awfully fast & I wouldn’t be at all surprised to receive some orders momentarily. It’s Saturday afternoon, and actually I’ve got a lot to do. I’m really serious!!! I’ll write you again real soon, and do much better than this. My best to you & Mrs. Turner.